The first of many informal sessions of research and knowledge exchange. Collis, Robertson and White will talk about their ongoing shared investigation into the actual physical places all of the existing and proposed gas, oil and fuel transmission sites along the local shoreline (from Woodfibre Liquid Fracked Gas at Squamish to the Westshore Coal export terminal in Tsawwassen). A project that will integrate their practices as poet, artists and activists. And, we welcome the contributions, questions, and comments of attendees, please join us! GENEVIEVE ROBERTSON‘s drawing-based interdisciplinary practice explores the material around the body and under the feet – water, rock, silt, flora, fauna and mineral. Her drawings map a visceral engagement with place and often occupy the edge: the interstice between micro and macro, flora and fauna, territory and weather pattern, tenacity and fragility. Robertson holds an MAA from Emily Carr University of Art and Design and a BFA from the Nova Scotia College of Art and Design. Her work is informed by a personal and intergenerational history of resource labor in remote forestry camps on the West Coast of British Columbia. JAY WHITE‘s work has shown across Canada and internationally. His animated films have won many awards, including Best Animated Short at the Worldwide Animation Festival. His films have shown at TIFF, the Stuttgart Trickfilm Festival, and Hiroshima. Boar Attack was longlisted for a Best Animated Short Academy Award nomination. A writer, curator, and educator, KIMBERLY PHILLIPS is director/curator of Access Gallery, an artist run centre committed to supporting emergent and experimental practices. She holds a PhD in art history from UBC where she was Izaak Walton Killam Doctoral Fellow; her postdoctoral studies were supported by the Deutsche Akademische Austauschdienst at the Freie Universität Berlin. Her current curatorial interests are focused on ideas of emergence and constraints: at Access she has launched a multi-year residency titled Twenty-Three Days at Sea, offering selected visual artists passage aboard container ships bound for Shanghai. 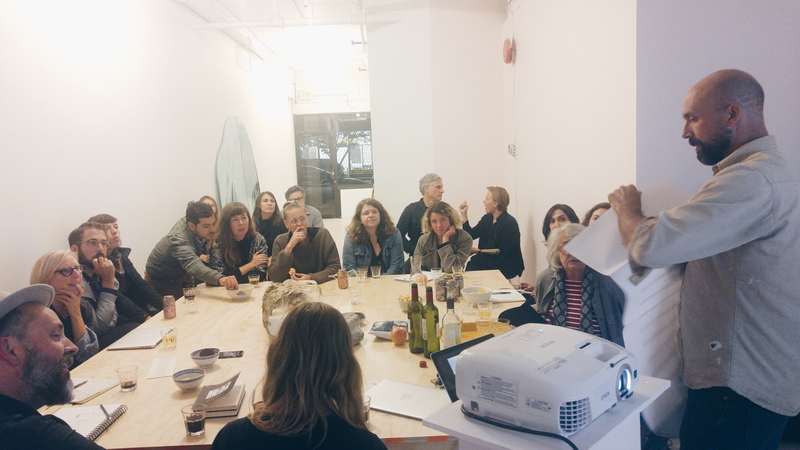 Phillips has authored and edited numerous exhibition catalogues and bookworks; her writings appear in Artforum, Canadian Art, C Magazine and Fillip. She teaches curatorial practice and modern/contemporary visual art history at UBC and ECUAD, and is currently Course Leader of ECUAD’s Low Residency Masters of Applied Art program.